My kids love decorating the windows in their bedroom for holidays. I often let them buy window clings from the dollar section and Target and for Christmas they received a set of window markers that they love. I know they would think these DIY window clings were the best craft idea ever. 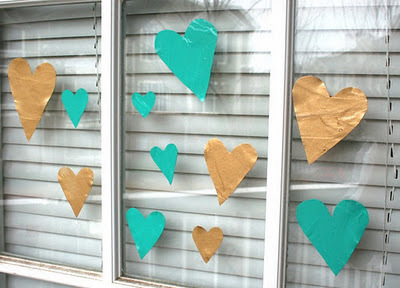 You can see how Amy made these valentine window clings over at Mod Podge Rocks.